KERLIN MOTORSPORTS! SERVING THE GREATER WARSAW, INDIANA AREA FOR MORE THAN 21 YEARS! Thanks for stopping by! We really appreciate your interest in our company. As you can tell we are proud dealers of Arctic Cat and ODES USA products, also offering full line parts, service, warranty, and finance and insurance options for both Arctic Cat and ODES USA. We serve the greater Warsaw, Indiana area as well as, but not limited to, the area between Valporaso, Indiana to Fort Wayne, and Elkhart Indiana to Muncie. We are very excited about the direction both lines are taking and believe that they complement our goals to a tee! We aim for complete customer satisfaction on all fronts and want you to have access to ownership at all times to share both your great experiences and even areas that we need to improve. You can reach Rick Kerlin directly anytime at the Silver Lake location at 260-352-2162. Thank you so much giving us a shot to earn your business. 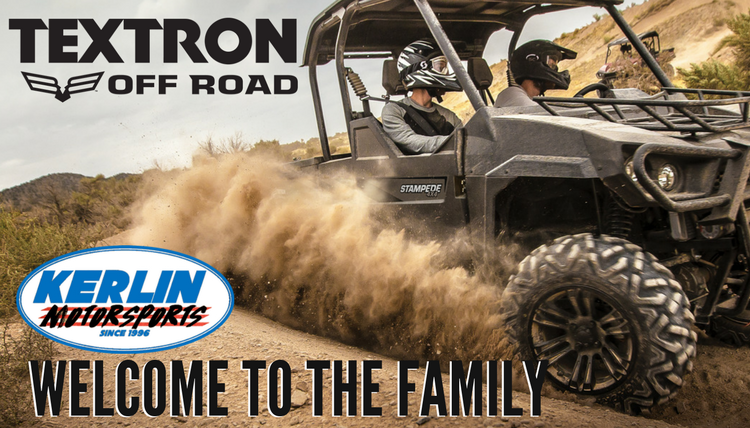 Welcome to the Kerlin Family, Textron Off-Road! Take the renowed powersports legacy of Arctic Cat... add resources of a Fortune 250 manufacturer of high-performance industrial, defense and aviation machines. The result? The all-new Textron Off-Road now with the power of Arctic Cat! Kerlin Motorsports Welcomes Textron Off-Road! You are invited to the launch party, Saturday August 19th as the Textron revolution begins in Northern Indiana! Kerlin Motorsports has been an Arctic Cat dirt dealer for over two decades. As a dealer, the change is very exciting as we see first hand the investment going into our beloved Arctic Cat. Textron Off-Road is kicking up the competition in the off-road marketplace, while leading in industrial and aircraft defense, in bringing innovation and military-grade reliability. And if the United States armed forces trusts Textron, they will definitly hold up to the civilian abuse in the off-road market. We are inviting customers and motorsports fans to the Kerlin Motorsports Textron Off-Road Launch Party on Saturday August 19th. This will wrap up our very busy 90 Days of Summer promotions where so far we have saved our customers over $30,000 on their purchases of new atv's and side-by-sides! There will be a few Textron Off-Road machines on location for the lauch party and all ready we are prepared to help you save big! 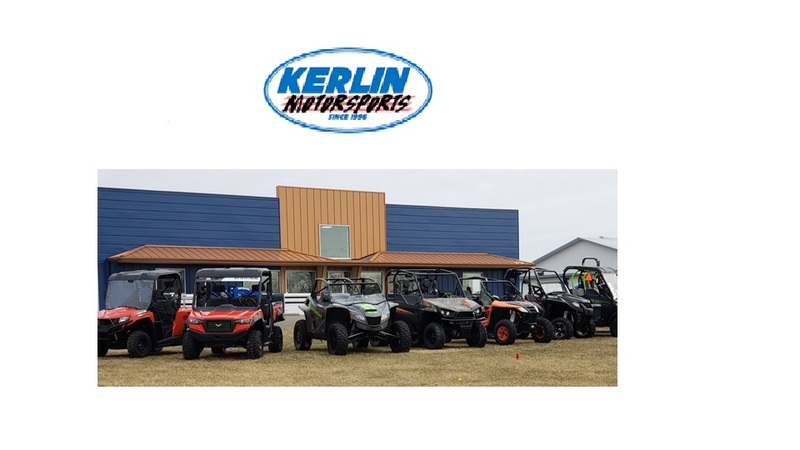 We hope to see you Saturday, August 19th from 9am - 5pm as we welcome Textron Off-Road to our Kerlin Family of Businesses! Like Kerlin Motors on Facebook!